Renting a dumpster in Massachusetts is as easy as finding a company, picking up the phone, and waiting for your dumpster to arrive, right? Well, not exactly. While dumpster rental is far from complex, it’s not as easy as just ordering a one-size-fits-all receptacle and filling it with anything you want. Plus, the laws concerning dumpsters vary from city to city in Massachusetts, so you’ll need to familiarize yourself with them before renting a dumpster. This article will help put your mind at ease by explaining all you need to know about dumpster rental. Provided you’re aware of the rules, regulations, and which size dumpster to rent, you can order a receptacle with confidence and focus your attention on constructing, renovating, or cleaning out the junk. Most dumpsters come in several standard sizes. The 12-yard dumpster, however, is easier to place on your property or by the side of the road. Unless you’re renting a dumpster for commercial construction or demolition purposes, you probably won’t need a 40-yard receptacle. A 12-yard dumpster can comfortably accommodate the junk from your garage and basement in most cases, or you can use it to dispose of the waste left over from a garden renovation. While your primary concern is disposing of junk in the easiest way possible, you should take a minute to consider the environmental impact of renting a dumpster. In the USA, we only recycle about half of recyclable waste according to the Environmental Protection Agency, and while most dumpster rental services will at least attempt to salvage some junk, you ought to consider doing some recycling yourself because a lot of your dumpster’s contents will inevitably end up in a landfill. The US has more landfills than any other country in the world, and as a nation, we produce up 400 million tons of waste per year. Needless to say, we need to try and minimize the amount of waste we produce, but more importantly, we need to prevent as much of it as possible from being dumped into landfills needlessly. Of course, you might not have time to separate all your junk while you’re in the middle of building a construction or landscaping the garden, which is why you should find a dumpster rental service that disposes of waste responsibly. Most companies market themselves on their greenness nowadays, but you should still bear in mind that busy companies don’t have enough time to separate items one by one. If you’re concerned about being environmentally friendly, you can always contact a junk removal service that makes most of its profit from salvaging junk rather than trashing it. You can throw almost anything you like into your dumpster, but you can’t put household hazardous waste (HHW) inside according to federal law. HHW can contaminate our waterways, destroy habitats, and cause human illness, which is why you can’t dump it into the municipal waste system or dumpsters. In many situations, you might not have a large quantity of HHW anyway, but it’s a different story if you’re removing walls with lead paint. Most communities offer collection days for HHW, and if you can’t wait, you can call the manufacturer to learn about safe disposal. You may not think that dumping a small amount of HHW is a big issue, but it all adds up. In the US, we improperly dispose of 200 million gallons of used oil per year, and according to the Office of Waste Management at the University of Missouri, one gallon of motor oil is enough to contaminate one million gallons of water. Almost every US state requires you to obtain a permit to situate a dumpster in a public space, such as the road outside your house. 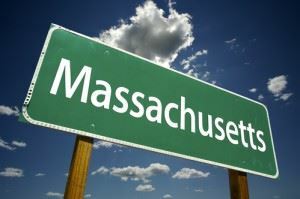 However, the laws surrounding dumpster rental in Massachusetts are more complex than most other states. Rather than having state laws, rules, and regulations surrounding dumpsters, the administration is done at the city level, so you may need to do some research to find out what applies to you. In Boston, for example, dumpster permits have a base fee of $20, and you then must pay $1 per day per square foot of space you need based on a month’s rental. You also need two no parking signs that cost $4 each, and there will be additional charges if your dumpster will occupy metered spaces. In Cambridge, on the other hand, you need to obtain a license in addition to a permit before you can rent a dumpster. The annual license costs $100, as does the application fee for the permit. Plus, the cost of a permit for one week costs $75, and the price goes up to $100 per week after that. You need to apply for the permit at least seven days before you rent a dumpster in MA, and you can learn more about the laws concerning its placement here. Dumpster rental in MA isn’t the only way to dispose of a large volume of waste, and depending on the amount of junk you have, it may not be the most affordable. If you have less than ten cubic yards of garbage, which would mean you’d require the smallest dumpster available, you might be better off contacting a junk removal company to retrieve the waste without you having to do any lifting. Calling a junk removal company instead of renting a dumpster is a good idea if all your waste is already in one spot because if the professionals must retrieve items from several areas on your property, their fees will go up. However, disposing of waste by calling a junk removal company means you can avoid having to obtain a permit – or a license if you live in Cambridge. On the other hand, if you’re unsure of how much waste you’ll produce while undertaking a construction project, renting a dumpster in Massachusetts is likely the most convenient option because it allows you to keep a receptacle on-site and fill it gradually. Contact us for dumpster rental in Boston. This entry was posted in Uncategorized and tagged junk haulers, Junk King, Junk King Removal on July 17, 2017 by Julian Torres, "JT". Last updated December 14, 2017 .